This workshop is now sold out. If you would like to join the waiting list please email bern@poetrytranslation.org. 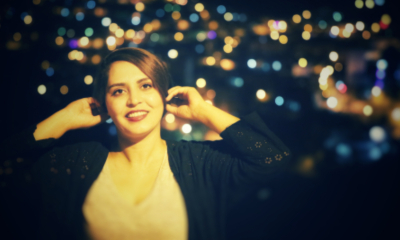 We are delighted to welcome back poet and translator Alirerza Abiz who will be introducing the PTC workshop to the Persian Perian poet Shooka Hosseini. Alireza Abiz is an Iranian poet, literary critic and translator, who has written extensively on Persian contemporary literature and culture. His scholarly book ‘Censorship of Literature in Post-Revolutionary Iran: Politics and Culture since 1979’ is forthcoming by I. B. Tauris. He has so far published five collections of poetry in Persian: Stop! We must get off, Spaghetti with Mexican Sauce, I can hear a tree from my desk, 13/1 Koohsangi Street, and Black Line- London Underground. His sixth collection, The Desert Monitor is forthcoming. . Abiz is an award-winning translator and has translated some leading English language poets including W.B. Yeats, Ted Hughes, Basil Bunting, Derek Walcott, Allen Ginsberg and C.K. Williams into Persian. He has been working with Poetry Translation Centre for a few years now, leading workshops on poetry from Iran and Afghanistan. Buy a Season Pass for all 6 workshops and save money. The saving on a season pass is equivalent to one free workshop. Plus, with each workshop, you attend you can earn points towards free PTC chapbooks and poetry collections. "It reminds me of how much I love words and meaning and being part of a group."